The ripples of both the Spectre and Meltdown vulnerabilities are still being felt through the IT industry, with the past weeks being a mixture of emergency patches and fixes, speculation from analysts, stock price crashes and a lot of frustration and anger. Indeed, it is fair to say that in recent memory, there hasn’t been such a far reaching vulnerability which has impacted so many people. Just a few days ago, the notoriously vocal creator of the Linux Operating System rained yet more fire down on Intel, asking “What the F$$$ is going on?” to engineers over at Amazon. Linus Torvalds then goes on to call Intels´s patches “complete and utter garbage”. Given AMD’s commitment to push into the server market with Epyc, Intel cannot afford to let this stand. While AMD do suffer their own share of vulnerabilities in the form of Spectre, they’re not feeling the performance impact of Intels own processors; and perhaps most importantly of all, they’re not dealing with so many variants, Meltdown in particular is absent. So of course, the mood of Intel’s recent financial report was a little different from those proceeding it, with the forth-quarter report designed to manage fears over the companies upcoming products. Fortunately for Intel, the companies bottom line is still healthy, with a four percent stock hike thanks to further record breaking profits. But, Intel must surely wonder how much more cash they could have grabbed if this whole situation had not occurred. 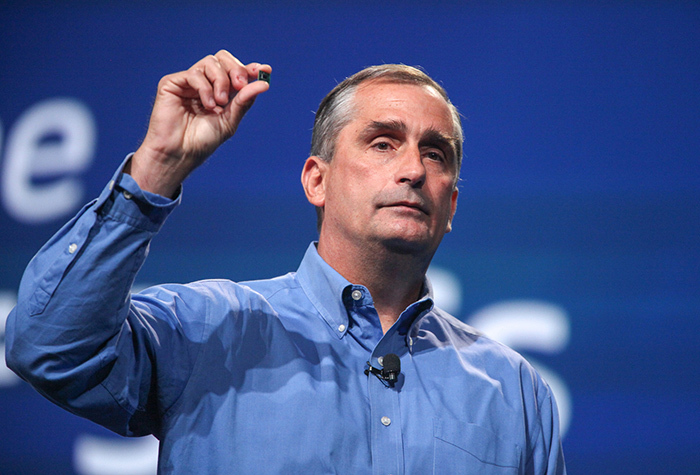 Brian Krzanich, Intel’s CEO, offered yet another affirmation on the companies commitment to security, the verbiage closely resembling that of their CES 2018 keynote presentation. He did however go one step further, revealing Intel had developed in-silicon fixes for both Spectre and Meltdown. Krzanich did confirm that these fixes would would available for processors released onto the market by 2018, but the exact specific platforms and processors these fixes will be present in hasn’t been made available to the public yet. We can make a few educated guesses however, based on Intel’s roadmap and Krzanich’s own words at the address. Given mainstream processors will take awhile to fully hit the 10nm stride, we can safely assume that for the desktop, we shall see this introduced by the time of Ice Lake. For the mobility market, its possible that will be Cannon Lake. 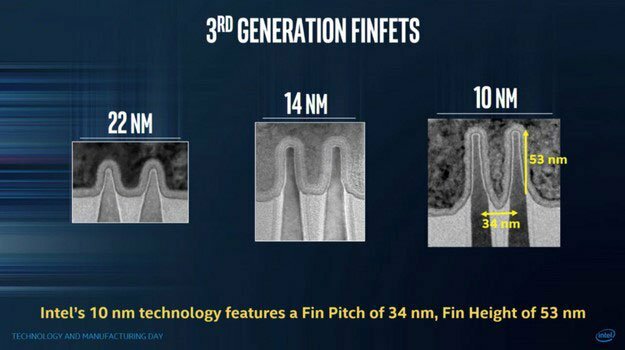 Given his statement confirmed another series of 14nm processors to hit in 2018 too, the biggest question is what will happen with Coffee Lake and its upcoming refresh. From a personal standpoint, I imagine Intel will do their utmost to add the changes to the chips to avoid a potential PR disaster (and also possibly tempt owners of the I7-8700K and I5-8600K to make another Intel purchase). More modern processors (post Broadwell and Skylake) fare better at dealing with the Spectre and Meltdown patches than older Intel silicon. Indeed, both Microsoft and Intel have released a plethora of benchmarks which demonstrate this. To put things simply, if you have an older processor which has been formerly been serving you well (such as a highly overclocked I7-4790K) you will be hit much harder than someone with an I7-6700K, making the performance gap between the two processors much bigger than before (likely causing a number of issues for reviewers too, particularly if they have needed to give back a chip after a review is conducted as now that chip has had it’s performance lowered). If you have read the past several hundred words and still left with questions, unfortunately you’re not the only one. It is highly possible that in the long run, this might be very profitable for both AMD and Intel, after all, the performance gap from jumping from say an Haswell-E setup to even newer generation Intel or AMD HEDT system might seem all the more tempting in a content production environment. And gamers (whom fortunately are not as affected by these patches thanks to less context switching and generally lower IO demands) may still be tempted to make the jump; spurred on by no longer feeling they’re hamstrung with a performance penalty, and the desire to invest in new platform technologies and generally the “new and shiny” factor. Tagged with cannonlake, fix, ice lake, intel, intel 10nm, intel meltdown fix, intel meltdown patch, intel spectre fix, intel spectre patch, meltdown, patch, patches, silicon, spectre.